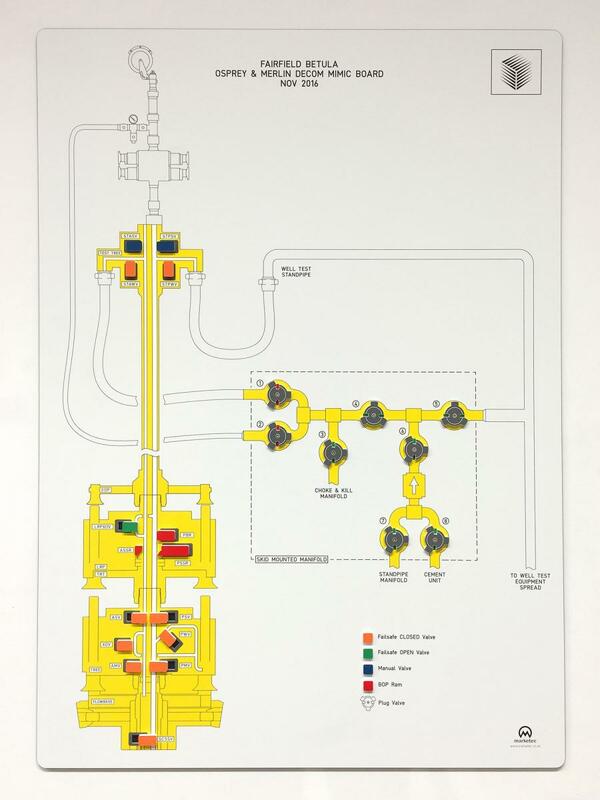 The Fairfield Energy mimic board helps demonstrate non-standard operations, such as those undertaken during P&A and decommissioning. This model provides clarity and collaboration of skills and experience amongst participants. 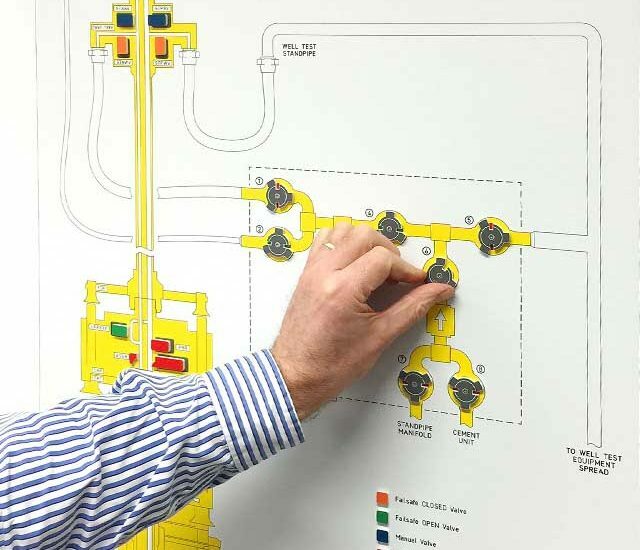 The surface and subsea stack-up showcased in this WISE-Board mimic board enables orientation, planning and what-if scenarios to be worked and developed.